This double-check locking approach solves the thread concurrency problems while avoiding an exclusive lock in every call to the Instance property method. 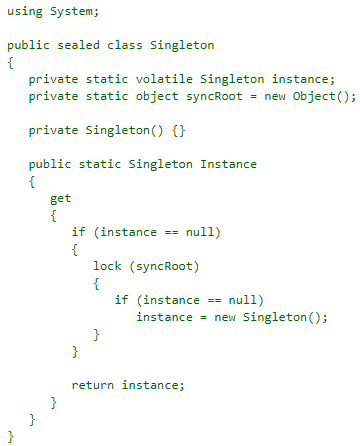 It also allows you to delay instantiation until the object is first accessed. In practice, an application rarely requires this type of implementation. In most cases, the static initialization approach is sufficient.